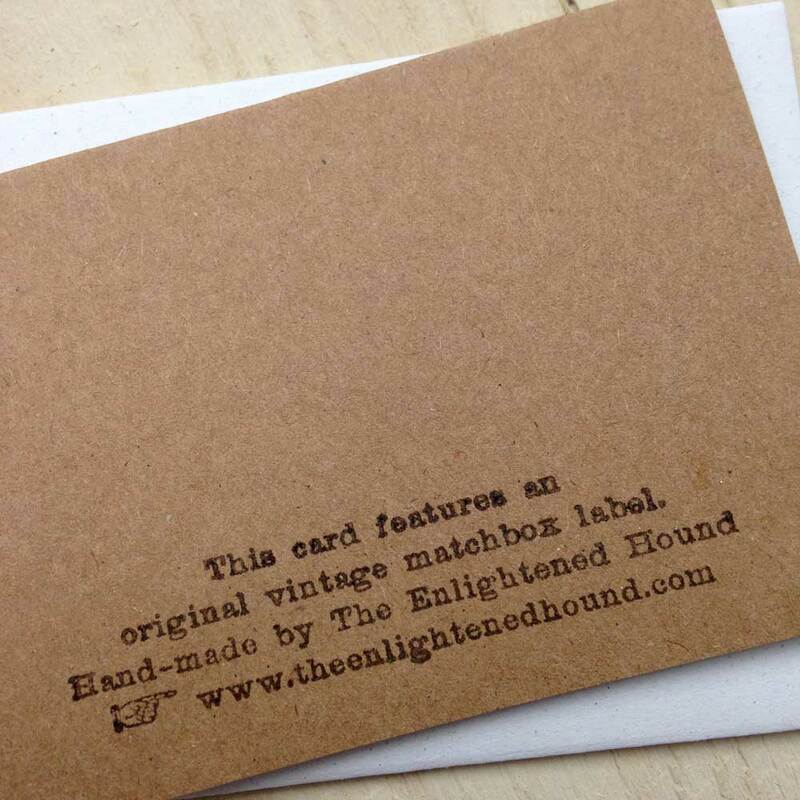 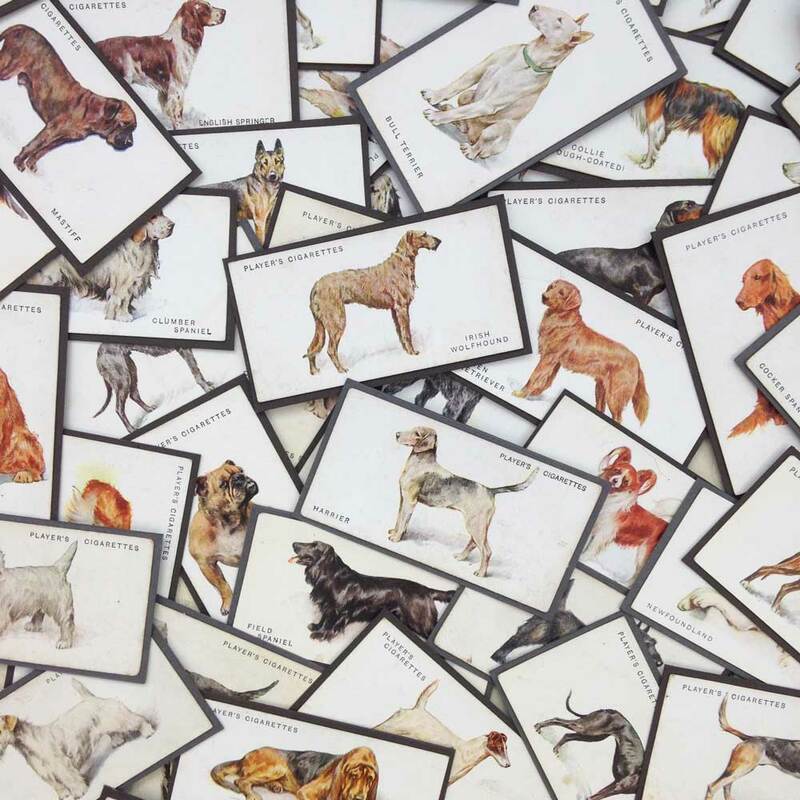 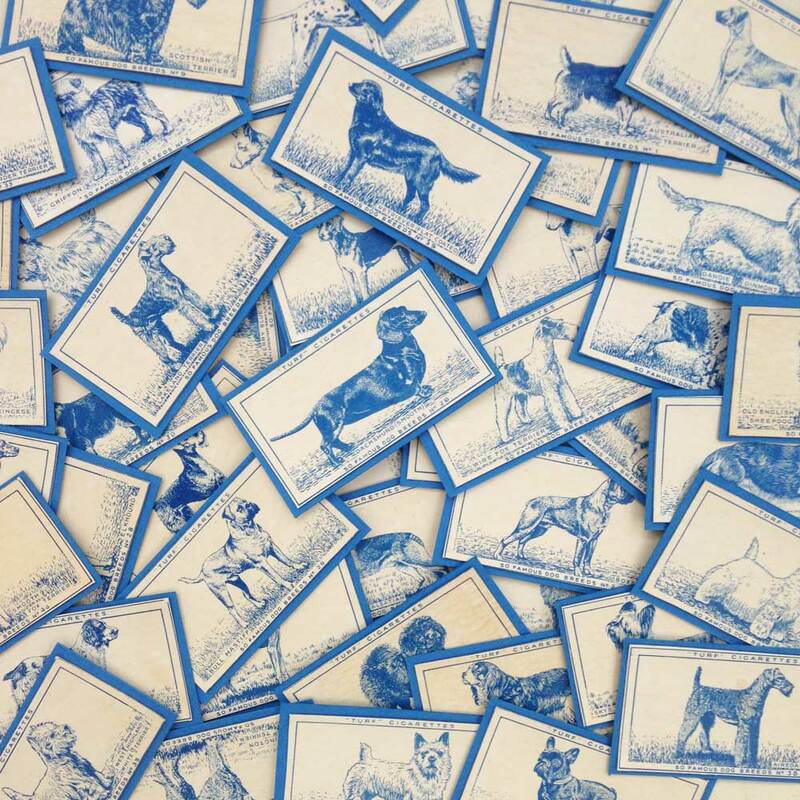 These dinky cards are hand-made using original vintage cigarette cards from two unique collections from the 1930s and 1950s and there are over 50 breeds to choose from, including some rare breeds. 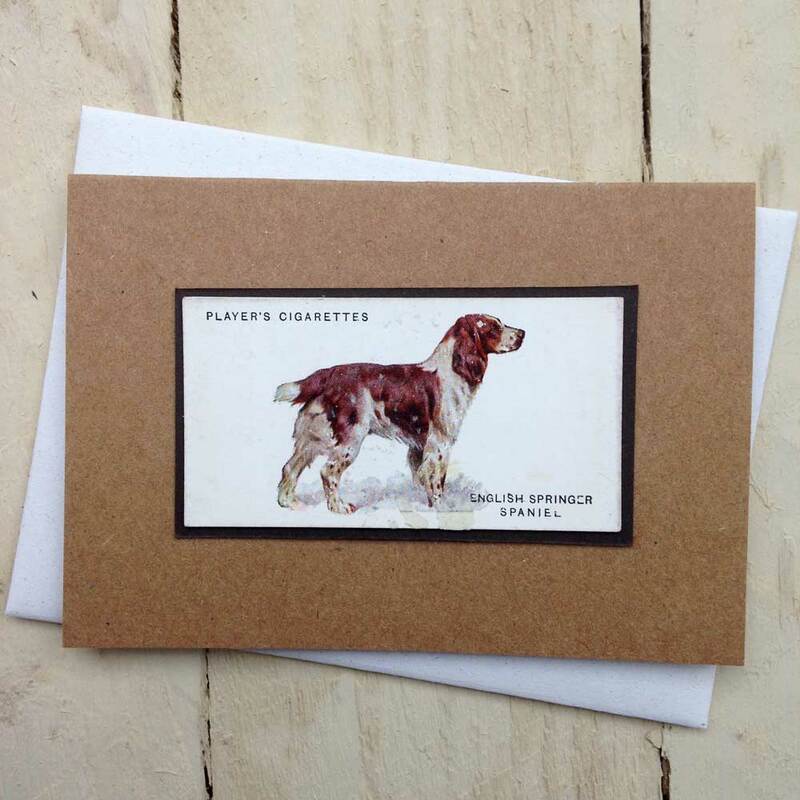 The cigarette cards are mounted on recycled card to enhance their vintage appeal and each comes with a co-ordinating envelope. 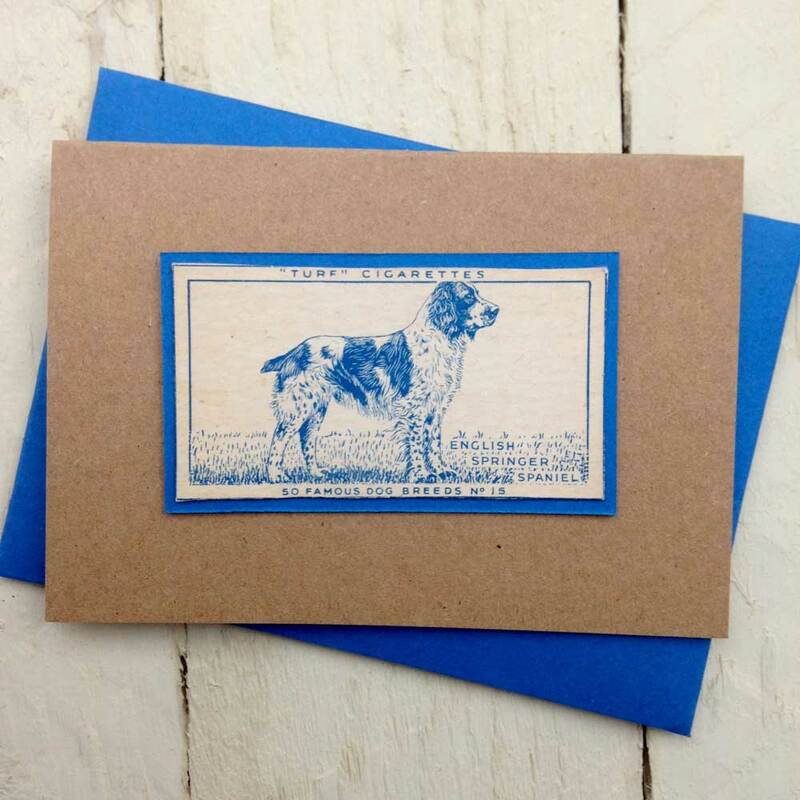 They are blank inside for your own personal message and they measure 104 x 74 mm.